And introducing COMPASSION, ACT’s best friend! Q: I’ve lost my way. How do I get back on track? A: Refer to your values. I have been on a detour, a rather long detour. It has certainly taken me away from blogging for a while. It is good to be back. Where have I been? Well, I have still been writing, just not blogging. I am, as ever, writing a book, several books, a series of books. I have so many stashed away in the depths of the computer that I shall be hard-pressed to recover them all. In the old days it was perhaps easier. A heap of dusty note-books at the bottom of the wardrobe, stuffed at the back of cupboards, lost on the bookshelves. Nowadays, for the less technically gifted amongst us, they have to be resurrected from forgotten computer files, strangely named titles, multiple locations, all very confusing. Sometimes the very confusion is sufficiently daunting to preclude trying to make sense of it all again. Sometimes the detours are so long, so convoluting that it is easier to forget all that went before and just start again. Consigning old stuff to the trash is tempting. And yet, coming back full circle doesn’t have to been a sign of failure. It can be a sign of re-commitment. 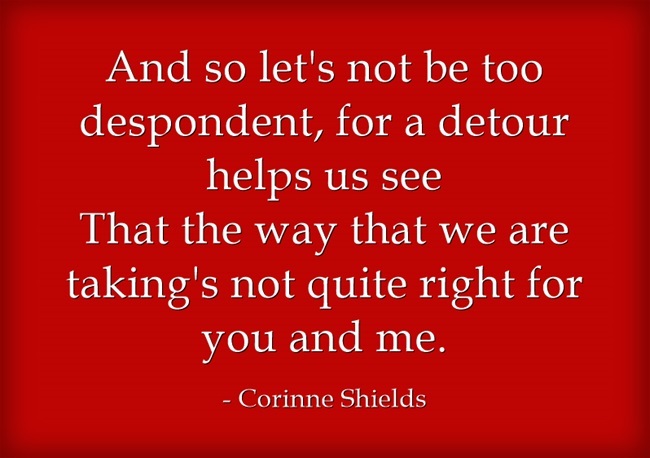 Detours may not have been the straightest way to get from A to B, but they are useful. We will have learned things along the way. That means that arriving back where we started is not at all the same. We are not the same. It is comforting to know that whilst we may not be the same, our values are. No matter where we are, irrespective of whatever wrong road we are taking, we can always get a correction. The moment that we refer to our values we can get back on track. A word about compassion here. If we have lost our way, if we have been wandering around in the foothills, not even aware of the mountain to climb, let’s not be too hard on ourselves. In fact let’s not be hard on ourselves at all. We are back now, and if we treat ourselves gently, with kindness and compassion, our future progress will be all the sweeter. It’s official. Compassion is good for you. I wrote “FEELING ALL DISJOINTED” to remind me of that. How did you find your way back? That it’s time to re-align, and yet again start to begin. Well, at least we finally can see this detour’s a mistake. And we no-longer feel disjointed, for it’s all beginning to fit. If you enjoyed “FEELING ALL DISJOINTED” please pass it on, and do leave your comments. I would love to hear from you. A final word from ACT, and its best friend COMPASSION …….. Values are integral to ACT. 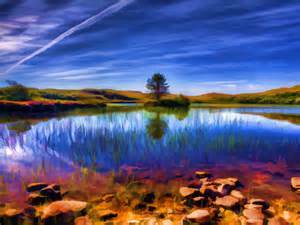 When we are lost, feeling all disjointed, it is likely that we have strayed away from our values. When we re-align, put values at the heart of what we are doing, where we are going, then the path becomes clearer. 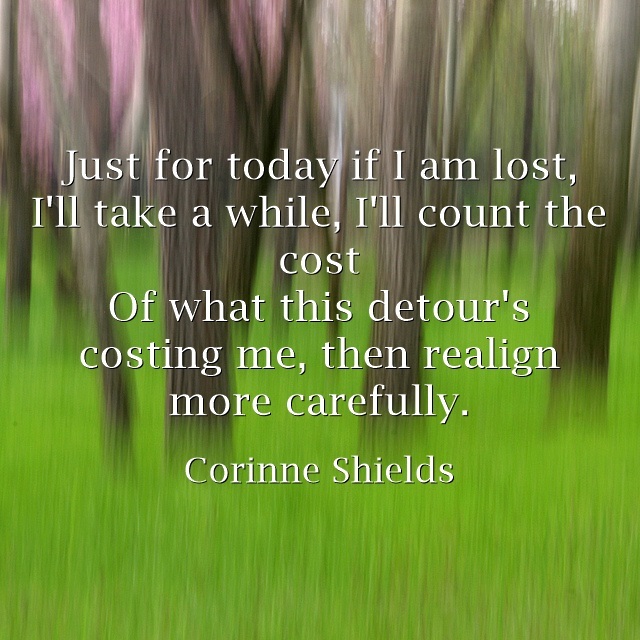 Sometimes taking a detour is good for us. 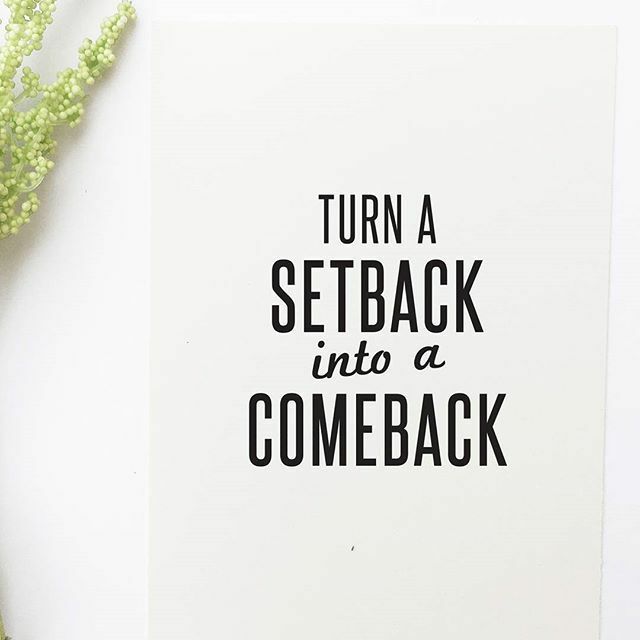 When we get back on track it is usually with a re-commitment that this time we will follow “it”, whatever “it” is, through. For me “it” means actually resurrecting those computer files. “It” means turning all those lost books into something for others to see. Another of the fundamental tenets of ACT is Commitment. ACT encourages us to commit to the things that we can change, the things that will help us to develop and become the best version of ourselves. I am committing to self publishing my books. I am committing to learning the requisite skills and seeing it through. I have reached this point many times before. I have backed away many times before. I have taken the detour rather than the difficult path. This time I commit to doing things differently. My values have brought me back here. They haven’t changed. I hope I have. I hope that this time coming back full circle will be the launch pad for something new. And, with a nod to compassion, I will treat myself kindly and gently in the process! 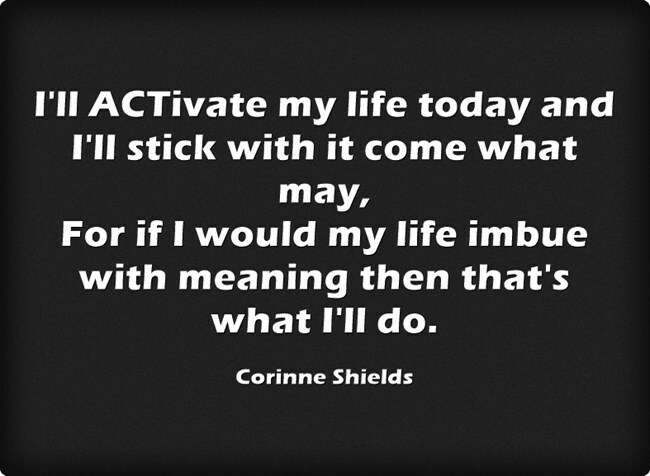 What can YOU do just for today to ACTivate your life? What can YOU do just for today to add some Compassion, some Kindness, into your life? If you have read this far, please do leave your comments. How is ACT helping you? Is Compassion part of your life? I am a student of ACT, I am learning about Compassion. I am on a journey. I would love you to join me.